Life is speeding by so fast seriously where is this year going, I thought I would share some photos of when we went camping a few weekends back. Well not so much the camping more the toddlers being on a stone beach. Sometimes I take photos and they stay on my laptop left unseen. See I love taking photos but hardly ever have the opportunities, I have switched to using the iPhone as a back up but they are not the same as a DSLR photo. My little ones hate the camera they never smile. They ignore me and pretend that it doesn't exist. 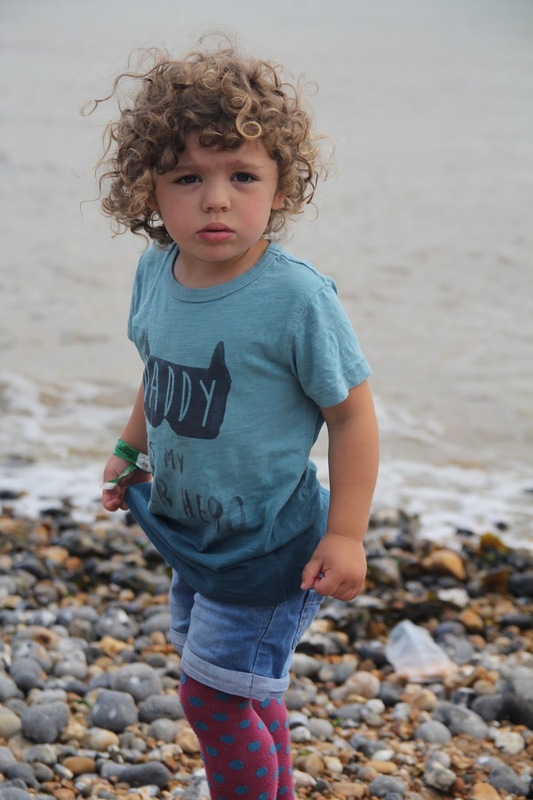 These photos were taken by the beach at Kingsdown campsite in Deal. We had gone down to the sea to watch some people within our church get baptised in the Sea which is always good fun. Asti was off playing with his friends so it was just me and the toddlers for a while, as Matt filmed the baptisms. It was hard work they just wanted to throw stones for ages. At each other, at other people and at me! 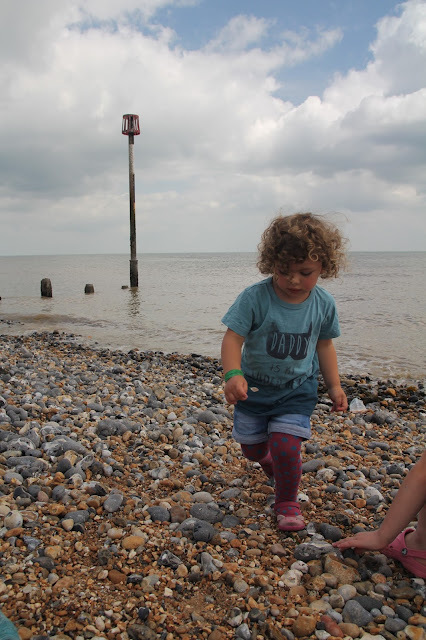 We love the beach though even if its stones, we love being by the sea, hearing the waves crash into shore. Having the sea breeze on our faces. Its a blessing to live so close to so many different beaches. I will always enjoy my time living round the coast. You never know where life will take you but I love it here. I don't know any better. Life is good, life is busy but its good to remember these times. The moments that maybe didn't last long but the kids loved it. Those memories are worth a lifetime. So heres a few more photos that I took from our short time on the beach. The last being our monthly family photo. Going to the beach as a family is always a great way to spend the day. It's difficult sometimes to choose which photos are to be shared and which ones are to be kept, but these are all fab. 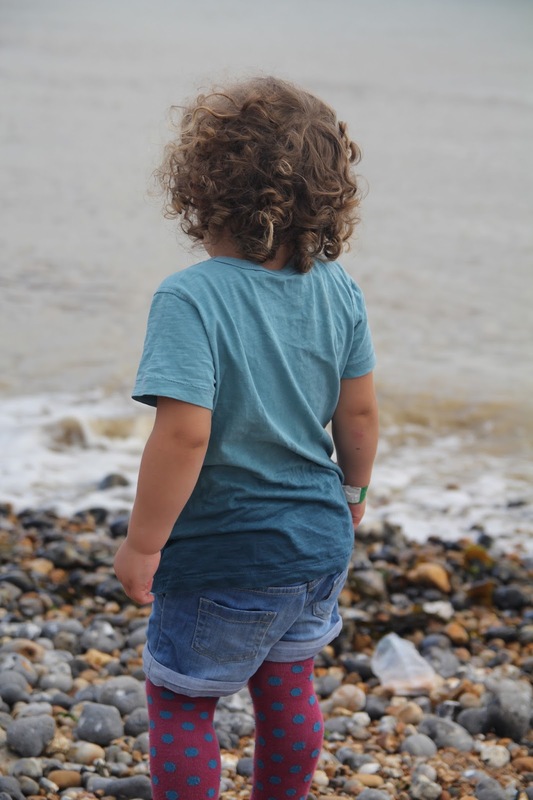 It's great to see the toddlers exploring the rocks and finding beach treasures. Lovely family photo at the end, the beach is a fab place to take it. Thanks for linking up with me on Country Kids.